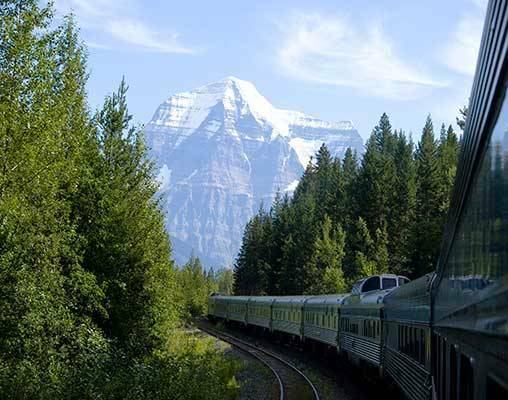 Let the rails guide your adventure on this 17-day coast-to-coast Canadian tour. The journey begins in coastal Vancouver, where you board the famed Rocky Mountaineer for a scenic ride to Kamloops. We reboard the train the next morning for a trip through the Rockies to Banff. 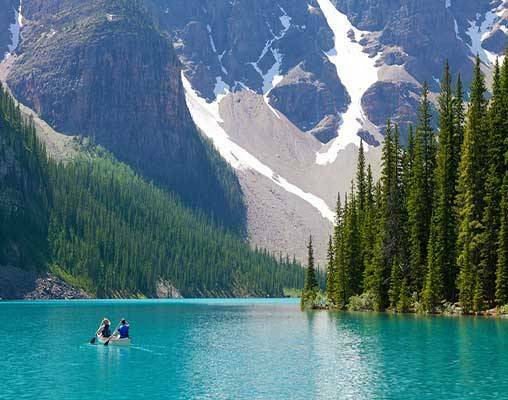 It is in Banff that you have the opportunity to soak in all the natural majesty this region has to offer, with guided and independent touring through some of the area's most iconic sites. Spend the night at Lake Louise before visiting Banff and Jasper National Parks, Columbia Icefield and Athabasca Glacier en route to Jasper. It is in Jasper that the true rail adventure begins, as you board VIA Rail's Canadian for a 3-day train ride to Toronto. 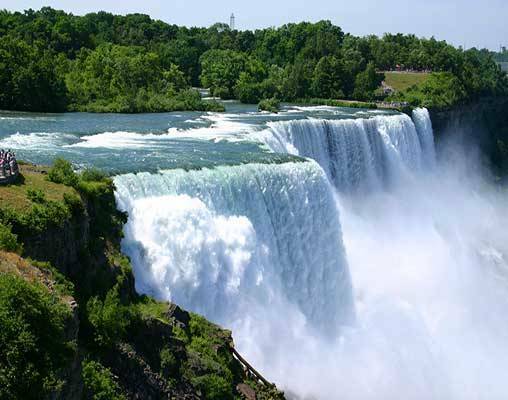 Upon arrival, you will have ample time to tour the city and Niagara Falls before moving on to Montreal using VIA Rail's Business Class train. Use the day to enjoy the sights and sounds of the city before reboarding VIA Rail for the final leg of your tour. 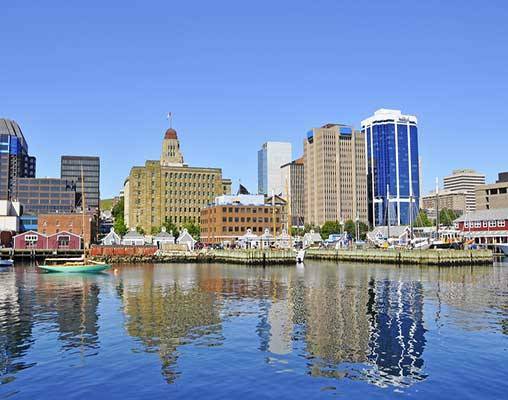 Though the scenic landscapes of Nova Scotia and New Brunswick lies Halifax, the place where this 4,000-mile tour comes to a close. This itinerary is also available from Halifax to Vancouver based on your travel preference. 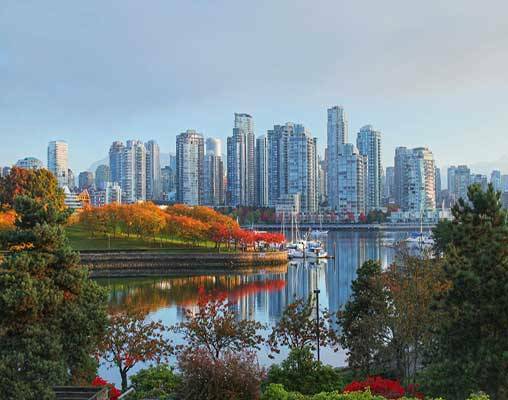 Hotels include Sheraton Vancouver Wall Centre, Sawridge Hotel Jasper, Post Hotel, Rimrock Resort Banff, Delta Montreal, Sheraton Center Hotel, and The Lord Nelson Hotel & Suites. VIA Rail accommodations are Sleeper Plus class in a private cabin. Meals are included aboard the train along with exclusive access to lounges and observation cars. Travel aboard the Rocky Mountaineer is in SilverLeaf service and includes travel in a single-level dome car featuring panoramic views and hot meal service at your seat. Hotels include Fairmont Hotel Vancouver, Fairmont Jasper Park Lodge, Fairmont The Queen Elizabeth Montreal, Fairmont Chateau Lake Louise, Fairmont Banff Springs, Fairmont Royal York, and Westin Nova Scotian. VIA Rail accommodations are in Sleeper Plus class in a private cabin. Meals are included aboard the train along with exclusive access to lounges and observation cars. 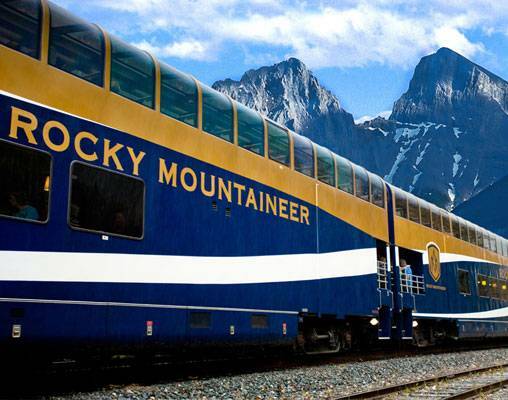 Travel aboard the Rocky Mountaineer is in GoldLeaf service and includes travel in a bi-level dome car featuring panoramic views on the upper level and an elegant private dining room to take breakfast and lunch. Hotels include Fairmont Hotel Vancouver, Fairmont Banff Springs, Fairmont Jasper Park Lodge, Fairmont Chateau Lake Louise, Fairmont Royal York, Fairmont the Queen Elizabeth and Westin Nova Scotian in upgraded room categories (where available). Each Prestige Sleep Cabin has a modular leather L-shaped couch by day and a Murphy bed for two by night facing the window with electric radiant heated cabin floors and walls that maintain a comfortable and constant temperature. Highlights of this Prestige Class includes: a personalized dedicated service by the Prestige Concierge; a spacious cabin, large windows and a private washroom with shower; flat-screen TV with video selection; minibar stocked with a selection of beverages and more. Click here to view testimonials for Canada Coast to Coast. Train service was excellent and comfortable. Tour guides were very knowledgeable. Vacations by rail is very professional and delivered as promised! Everything was perfect. We motored across Canada with beautiful scenery and fantastic food. All the tours and vouchers worked perfectly. 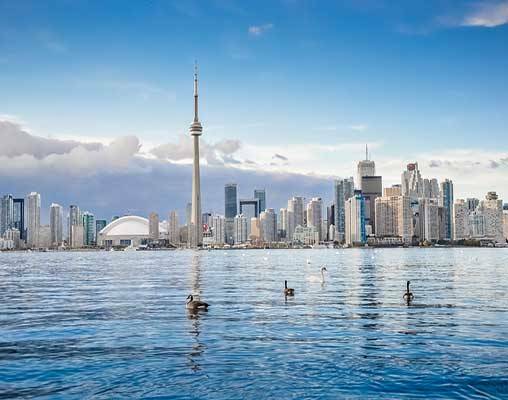 Enter your details below if you would like to be notified when 2021 dates and prices are available for Canada Coast to Coast. Please note all accommodation in Kamloops is of moderate standard. 3-night minimum stay in Montreal during the Gran Prix. Ask your rail specialist for details.